Camping spots will be available (details tbc), with food for those staying - usually bbq, pie and pot noodle nights - and beer on tap from a barrel in the back of a sankey, just as it should be - again all tbc at this stage. The event website itself hasn't been updated yet, but I'll post a link as details emerge. There's a new venue this year as the event outgrew the space at the National Coal Mining museum, but Apedale Light Railway look like they're going to be splendid hosts, being well used to classic car rallies and suchlike. I've been told by Drew that I'm to come with him.. I did wonder if it was you that popped up on the other forum I'll look forward to meeting you! It really is a great event, I've met some fantastic people through it. Drew makes me go ! 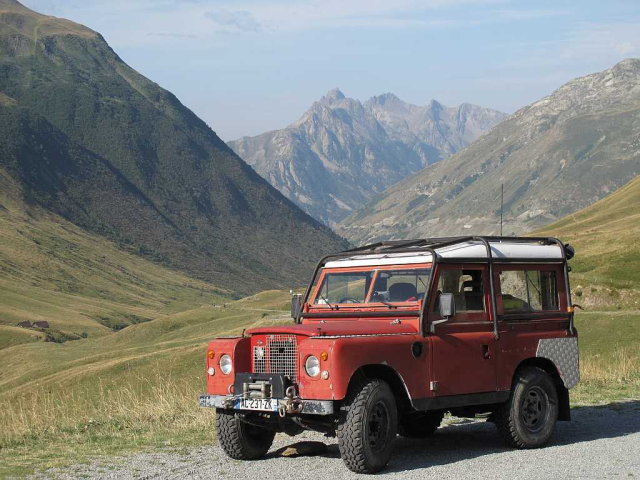 Then I'll do a test drive to the Alps and take it to 10,000 ft. to see how it goes. But now things are a bit different - engine, gearbox etc. are all different..
Unsure if my old truck will get up that far, and it's not exactly a long way haha might see how well it goes bacl together first haha..